Venezuelan President Nicolas Maduro has alleged that President Donald Trump has ordered the Colombian mafia to assassinate him. 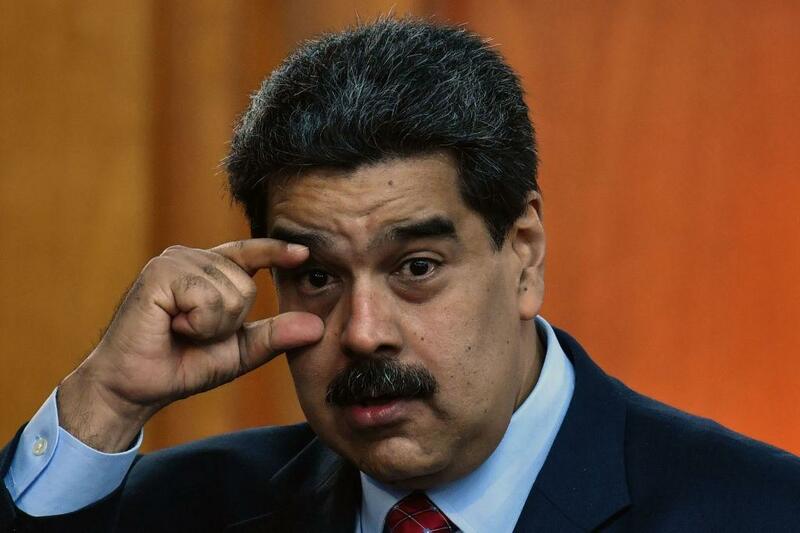 After an apparent assassination attempt on Maduro involving a drone in early August, the government quickly made arrests, saying the attack was planned by people plotting from Miami and Bogota. But the 35-year-old leader has cited the constitution to back his efforts, arguing that as the president of the National Assembly, he should serve as acting head of state in the absence of a legitimate president. Although Maduro won reelection last year, the polls were widely condemned by members of the international community, as opposition politicians were jailed or barred from running. Voter turnout was also less than 50 percent, with much of the population boycotting the election altogether. Trump's administration has maintained that "all options" are on the table in support of Guaido, suggesting that military action is possible. A note on a paper held by national security adviser John Bolton during a press briefing on Monday has drawn significant speculation, as it appeared to suggest that the U.S. could send troops to Colombia as a possible warning to Maduro. Colombia's government has also backed Guaido as Venezuela's legitimate leader. Since coming to power in 2013, Maduro has overseen the worst economic crisis in Venezuela’s modern history. Inflation has surpassed one million percent and millions of Venezuelans have fled the country as refugees, primarily to nearby nations Colombia, Brazil and Ecuador. Crime and corruption have remained rampant in the country as well. The Maduro government has blamed U.S. sanctions for crippling the country’s economy and some experts agree. “If you crush this government and you bring in a neoliberal government that is going to privatize everything and is going to sell out, a lot of transnational corporations stand to gain enormous profits and the United States is driven by the transnational corporations,” he argued. On Monday, the Trump administration announced even harsher sanctions targeting the Latin American country’s state-owned oil company. The move was couched as a way to cut funding to Maduro’s government, allowing it to eventually be transferred to a transitional government under Guaido’s leadership. Maduro, however, has accused the U.S. of stealing the oil from the Venezuelan people.